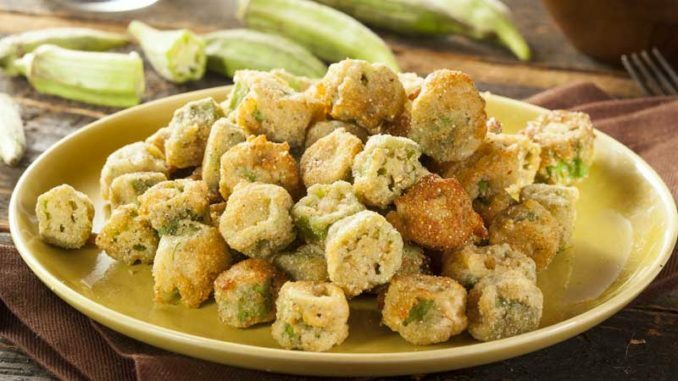 Wash okra, remove stems, and cut into slices 5 inches thick. Season with salt and pepper. Toss in corn meal or fish fry until thoroughly coated. Cook in oil over low heat 35-45 minutes or until dark brown, stirring occasionally.